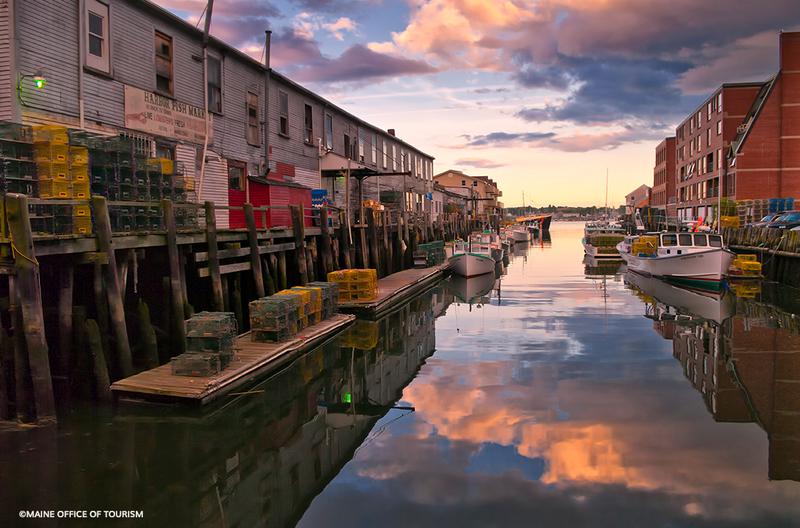 What’s so Great about Portland, Maine? 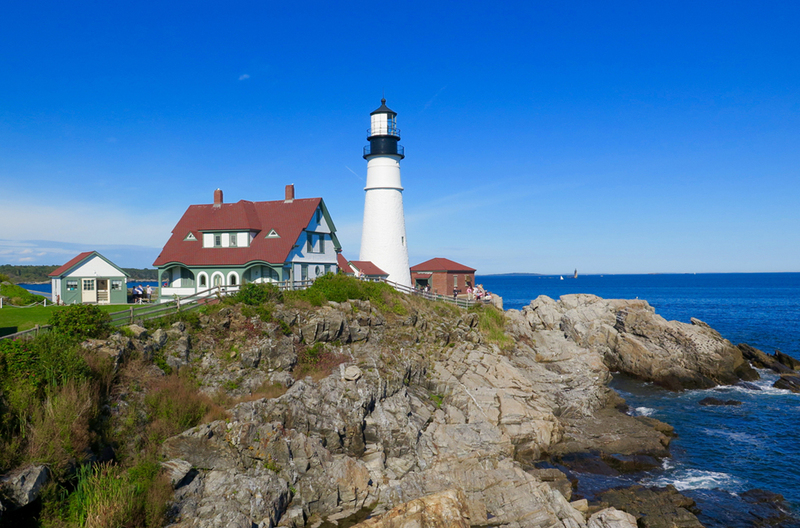 Conjure Maine’s coast in the mind’s eye, and the vision likely encompasses lighthouses, lobster dinners, and granite-girdled islands. Portland, Maine’s largest city, delivers all with a hip vibe and a foodie buzz. It’s an easy two-hours from Boston’s Logan Airport to Portland, but why rush? 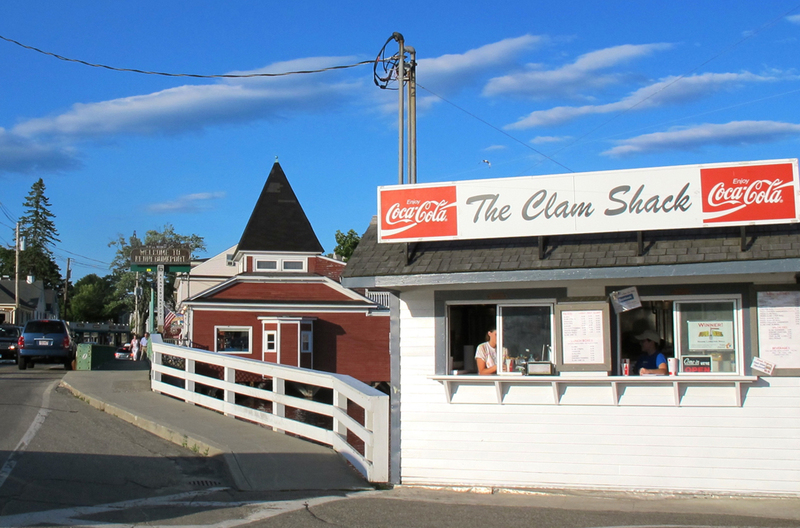 Work out the travel kinks on an easy hike to Laudholm Beach at the Wells Reserve, followed by a taste of Maine at Kennebunk’s Clam Shack, where the fried clams and the lobster roll deserve their fame. When the sun's rays pierce the early-morning fog, Portland shines. Along the waterfront, sunlight dances on the water. Seagulls cackle in anticipation of a free meal, as lobstermen prepare to haul traps. Fish trucks rumble; excursion boats, such as the classic sail-powered wooden schooners Bagheera or Wendameen ready for the day's passengers; island-bound ferries begin their daily to and fro; and at Becky’s Diner, flannel shirts and oilskins begin ceding to ties and tee shirts. With a population numbering only 65,000 and no skyscrapers, Portland is more small town than big city. It caps a hilly peninsula framed by the Fore River, the harbor, Casco Bay, and Back Cove. Much of today’s appealing brick, Victorian cityscape arose from the embers of The Great Fire of 1866. Preservation and renewal have turned the Old Port and Waterfront’s once derelict buildings into thriving neighborhoods. While lobster buyers, fish dealers and old salts still tend businesses on the wharves, steps away fashion mavens seek the latest styles at trendy boutiques and executives vie with tourists for restaurant tables at water-view restaurants. The Portland Museum of Art, which also offers tours of American artist Winslow Homer’s oceanfront studio, anchors the Arts District. Portland’s cultural heart beats with museums, historical houses, performing arts centers, the Maine College of Art and a burgeoning number of shops, restaurants, coffeehouses and galleries. Sure there's a Starbucks, but there's also Coffee By Design, a locally owned spot with an artsy beat. Despite its size, Portland regularly makes national Top 10 lists for where to live, work, play, and especially eat. Credit Fore Street’s Sam Hayward for inking Portland on the culinary map by winning Maine’s first James Beard Best Chef Northeast award. Since then, young chefs, enticed by the ocean out the front door and farmlands out the back, keep arriving, resulting in a mind-boggling quantity and variety of quality dining and drinking establishments. Begin the day at The Holy Donut; don’t miss the artery-busting poutine at Duck Fat; and save room for a treat at MDI Ice Cream. For an intro to Portland’s exploding craft beer scene, board the Maine Brew Bus or tap into Allagash Brewing for a tasting or tour. Temple of beer geekdom Novare Res has more than 30 taps and 400-plus labels. Get the lowdown on Portland’s cocktail scene on a guided walk or cruise with Wine Wise. Hotspots include The Bearded Lady’s Jewel Box, Portland Hunt + Alpine Club, Opium, and Vena’s Fizz House. When making dinner reservations, begin with this year’s Beard Award contenders: Fore Street, Drifter’s Wife, Piccolo, and Eventide Oyster Co. Keep up with the city’s red-hot food scene with Portland Food Map. Cap the evening with dessert at Bar of Chocolate. Noodle through South Portland and Cape Elizabeth taking in Bug and Spring Point Ledge Lights; Fort Williams, home to Portland Head Light, illuminating ship-wrecking ledges since 1791, and the Bite Into Maine lobster roll truck; and Two Lights, home to two lighthouses and The Lobster Shack, where crashing surf and crying gulls create perfect background music. Rock icons playing Portland’s State Theater or Thompson’s Point or Maine State Pier sometimes make post-show pilgrimages to gigunda sporting and lifestyle retailer L.L. Bean, open 24/7/365. Among the dozens of shopping outlets in its shadow, seek out Sea Bags for bags made from recycled sails; Jill McGowan for the famous white shirt; and Brahms Mount for linens and blankets woven on antique shuttle looms. If you’ve planned ahead and scored tix for a Red Sox game at Boston’s iconic Fenway Park before flying home, good on ya. If not, home turf for the beloved Portland Seadogs, a Red Sox farm team, is Hadlock Field, complete with its own version of Fenway’s Green Monster, the Maine Monster. And if you missed spying a lighthouse, one rises from center field whenever a Seadog hits a homer. Hilary Nangle, author of three guidebooks to her home state, Moon Maine, Moon Coastal Maine, and Moon Acadia National Park, contributes regularly to national magazines. She can be found at www.MaineTravelMaven.com.